Deepest burgundy delights the eye, while aromas of Costa Rican coffee beans gently roasting float upward. A Mexican-vanilla-baked-berry crumble fragrance with an underlying spiciness tickle your nose. Honeyed cranberry with a touch of pomegranate round out the fruit flavor presentation, while undercurrents of soft, smoky eucalyptus and butterscotch notes pair with earthy, silky tannins in order to please the palate. 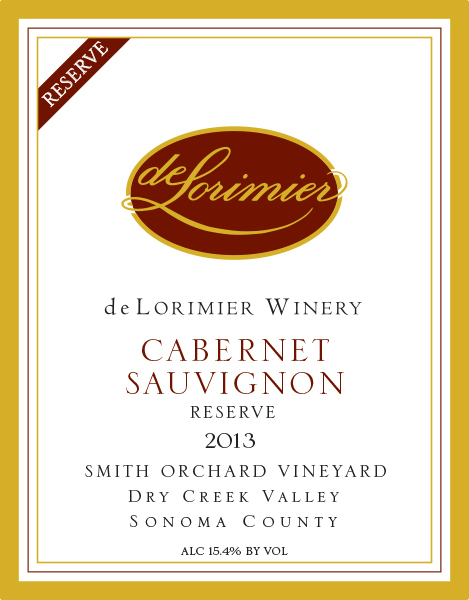 All the fruit-forwardness of a Dry Creek Cabernet with the added elegance of balanced tannins. A stand-alone Cabernet that will make you want to hide it you’re your friends savor it alone in front of the fireplace, you can also share it and pair it with wild mushroom risotto, or a rich meaty sauce over fresh three-cheese ravioli.